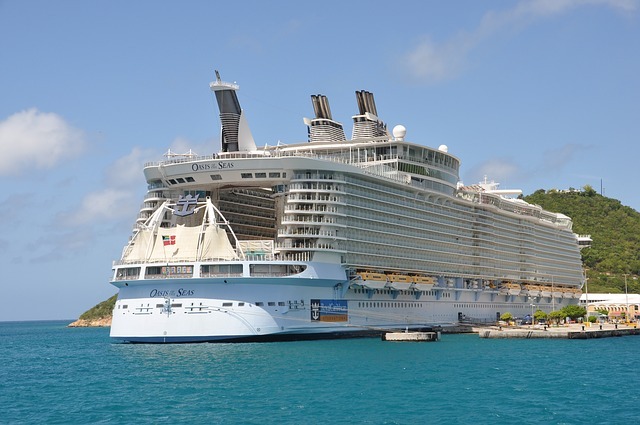 Are you planning for a cruise? Have you made up your mind where to go? If not yet, then you still have time to consider various cruise destinations to best suit your taste. When spring began, we all had various ways of celebrating this season’s festivity and cruising is one of the best. You can wander off to somewhere and enjoy the different views as well as experience a new world that’s beyond ordinary. Even if you want to go alone or tag your family, friends or special someone along to make it even more exciting. You could also enjoy the various amenities of along the cruise. Sounds pretty amazing, right? It is undeniable that cruising is one of the best things to do this spring. Personally, I have been wanting to go for a cruise with within this year which is why I am saving for it. In selecting cruise destinations, you have to consider different options. There are various destinations that are truly amazing and it makes it difficult for you to choose only one (sigh). It makes us wish that we could travel everywhere. If you haven’t made any decision where to go yet, you can check out these top five best cruise destinations. Caribbean cruise has been the most popular destination through the years. It has a warm climate and a number of clear seas and white sand beaches which are teeming with astounding marine life. Aside from that, people definitely enjoy its duty-free shopping and presents various choices of cruise itineraries and lengths. It also has an amazing range of ports of call, each with its own distinctive character and appeal. What makes Bahamas a stunning and classing cruising favorite? It is none other than its calm beaches and relaxing ambiance. It is the best place where you can enjoy water sports, such as snorkeling, sailing and jet skiing. There are also plenty of things to do there and the food is amazing! These are only few of the many reasons to visit Bahamas. Aloha! When we say Hawaii, there are no other things that we could think of but white sand beaches and a warm, sunny weather. It offers some of the world’s most luxurious resorts and spas. Also, you would love its marine life where whales and dolphins jump and play on many of the ocean cruises and you could also swim with the sea turtles. It also has an incredible night life. Europe is home to many wonders where you can enjoy its culture and beauty. Take the opportunity to marvel on the awesome fjords of Norway and brilliance of golden domes in Istanbul. Plus, you can also enjoy wandering through the medieval castles and Gothic cathedrals and at the same time have the chance of a lifetime to personally glance at the greatest works of art by famous painters such as Da Vinci, Michelangelo and Van Gogh. Yes, among the best cruise destinations mentioned, Alaska is the only one which is not associated with beaches, yet people still love to go there. There are various reasons to go Alaska and few of the many are its astounding icy glaciers, landmarks and diverse wilderness which as truly one of a kind. If you are fond of skiing, mountain biking and kayaking, then there’s no other place you ought to go to. Probably by now, you have already chosen your destination. All you have to do next is to prepare yourself, pack your things, and get ready for the adventure of your life. Don’t forget to book shore excursions along with your cruise especially if you want to go to Alaska. Certainly, you would enjoy the view of its vast wilderness protected emerald forests, snow-capped mountains, waterfalls, glaciers and fjords. Aside from that, you could marvel in its rich wildlife and culture. These five destinations are truly worth it and fun beckons, so what are you waiting for? April is an Editor at Scoopfed and has been an enthusiast of food articles. She previously worked at a BPO Company and now enjoying her job at an SEO Company. During her free time, she is fond of reading John Green Novels and playing guitar.